There has been so much discussion around the restructuring of Google I thought it would be helpful to post a complete list of all of the Google companies along with some key articles to better understand the restructure. The depth and breadth of their holdings are massive. The ratio of innovation and disruption across the organization is unmatched by any other holding company across the globe. A brief explanation of the holding structure of the new entity. Why some folks, like BMW are a bit ruffled about the name. Why they did it. To maintain innovation leadership. 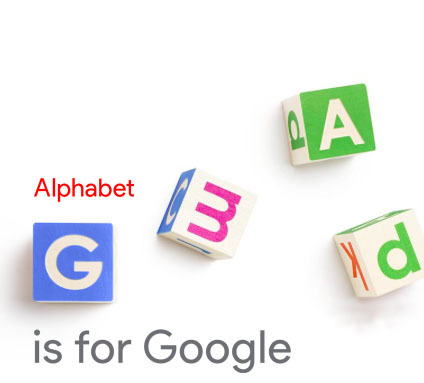 They certainly need the entire alphabet when you look at the list of companies they own. Hope this is helpful to everyone. This list was originally sent to me by Ken Rutkowski @kenradio. Thanks Ken! The list originally appeared on Quartz. This entry was posted in All, Analytics, Apps, Brand Content, Content, Content Marketing, Digital Video, Entertainment, Publishing, Social Commerce, Social Media, Technology, Virtual Reality and tagged Alphabet, Google, Restructure. Bookmark the permalink. « Why the TV Networks should start their own MCNs.